The most successful FX banks are boosting their IT spending and competing on price and service in an effort to maintain market share. 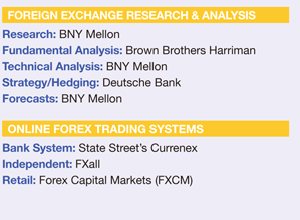 As the foreign exchange market evolves, banks and other service providers require deep pockets to meet the demands of increasingly sophisticated traders and investors. IT spending budgets are growing as banks feel the need for speedy and efficient processing of increasingly smaller ticket sizes. High-frequency trading in foreign exchange, which has been made possible by advances in technology, accounts for a steadily growing share of the volume, according to Boston-based consulting firm Celent. The growth of HFT, as well as the entry of newer firms, has been driving traditional FX firms to enhance and upgrade technology, according to a recent report by Celent. Foreign exchange has grown to be a $4 trillion market on an average trading day and much more than that when news is breaking. Of the total, about $2.5 trillion is traded in outright forward contracts, swaps and other derivatives, according to the Bank for International Settlements. As investors around the world increase their purchases of foreign stocks and bonds, they are exposed to FX risks. Demand for currency hedging is growing along with global investing. 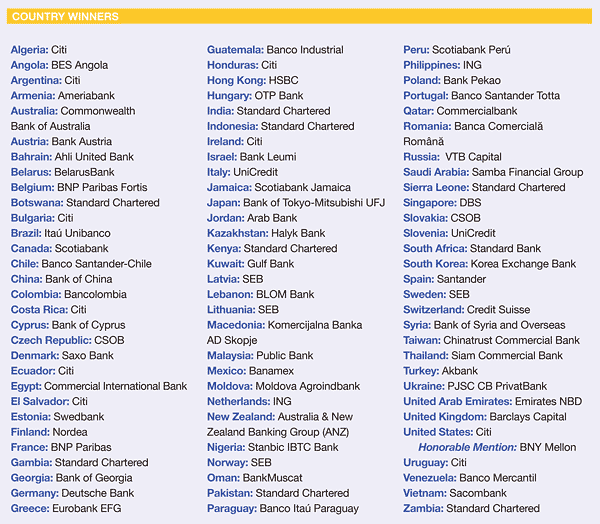 In our Annual World’s Best Foreign Exchange Providers awards, Global Finance has identified the best foreign exchange banks—the ones that major corporations, in particular, trust most to handle their currency hedging and transaction needs. These banks are reliable and efficient and respond to the requirements of their customers with innovative solutions. 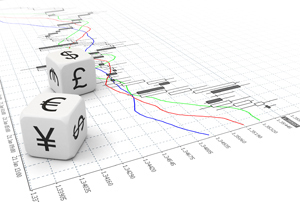 We have also chosen the leading banks by country and region; the best online trading systems; the best bank for foreign exchange research; and winners for fundamental research, technical research, currency forecasts and strategy and hedging. 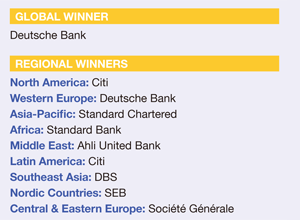 Deutsche Bank takes top honor as the global winner. 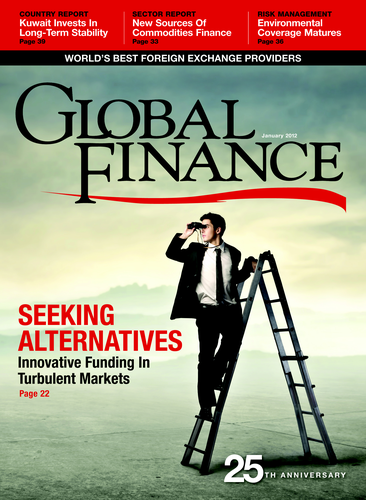 With input from industry analysts, corporate executives and technology experts, Global Finance has selected the winners based on criteria including transaction volume, market share, global coverage, customer service, competitive pricing and technology.